Shetland Pony Farms and Stallions Directory - O Horse! Champion show miniatures and shetlands. Home of the "JC" horses. Sale animals, show animals, exclusive breeding/bloodlines. A unique non-profit organization dedicated to providing children with special needs a tiny U.K. Shetland Pony to love and care for, completely without charge. 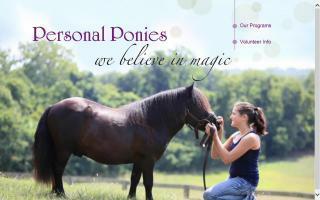 Our ponies make magic in children's lives! AMHA, AMHR, ASPC Miniature Horses and Shetland Ponies. 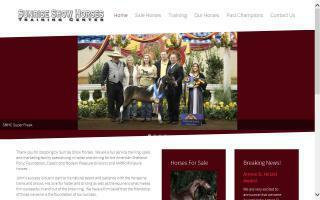 World, National, and Congress Champion halter and driving horses for stud service and for sale. Boarding, clinics, and training available. Pet, breeding, and show stock available. National champion dual registered Shetlands. Breeders of Friesian horses, sporthorses, championship miniature Shetlands, Miniature Donkeys, and Clydesdales. Friesian, Saddlebred, and miniature Shetland stallion services offered. Shetland and Hackney Ponies. 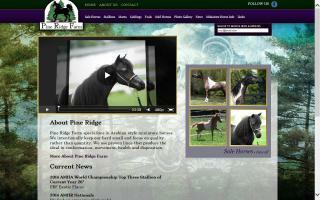 Sunrise Show Horses is a training and breeding facility for the American Shetland Pony. Breeding and showing National quality AMHA, AMHR, & ASPC registered Miniature Horses and Shetland Ponies. Home to National Champions & Hall of Fame winners. Show, breeding, and companion stock available, as well as stud service available. Stallions include Little Kings Junior Jinx, Little Kings B T Buck Bandito, and Wall Streets Illusions Jazz Singer. International inquiries welcomed. Horse stud in northern Spain that breeds exclusive and refined miniature horses, mostly miniature Shetlands. Breeding AMHR/ASPC halter & driving horses/ponies.